Nintendo has reason to be worried, according to Namco Bandai VP of sales Olivier Comte. Nintendo might be king of the hill right now, but it's on shaky ground, says Olivier Comte, Namco Bandai's VP of sales. "It's a tough market," said Comte. 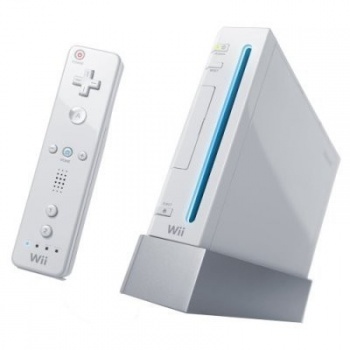 "[T]he average quality of a game on DS and Wii is very, very bad. So in the mind of the consumer today, to buy a DS or Wii game is to buy a game that isn't very good." "One of the reasons the DS collapsed is piracy, it is very clear, but also it is a fantastic machine and very easy to develop for. It was possible for three kids in a garage to make a game for it," Comte explained. "DS is the most successful platform ever, but all my kids' friends at school have a DS with an R4. They have 100 games for no money. So yes, the market has collapsed for the DS and Wii." Comte joins Final Fantasy VII writer Masato Kato in foreseeing difficult times ahead for Nintendo, albeit for different reasons. The prevalence of shovelware on the DS and Wii is a pretty common complaint amongst dedicated gamers, but whether it - along with piracy on the DS - will spell Nintendo's downfall remains to be seen.